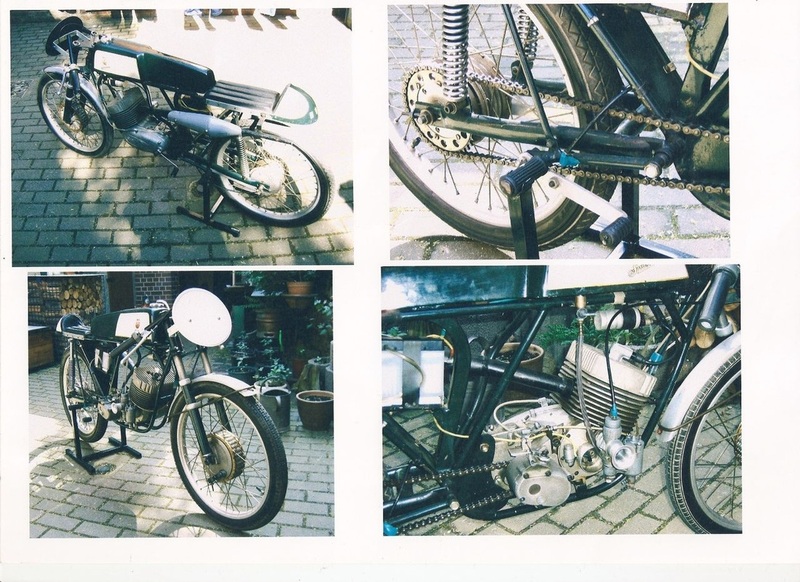 Made by the former Simson metalworks in Suhl /Thüringen. 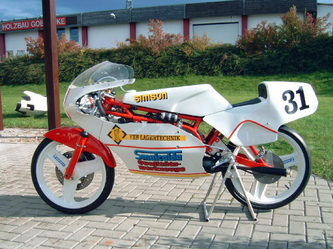 The Simson works have always produced fire-arms ,which has a long tradition in that region. But also bicycles ,cars ,and various other metal products were made. 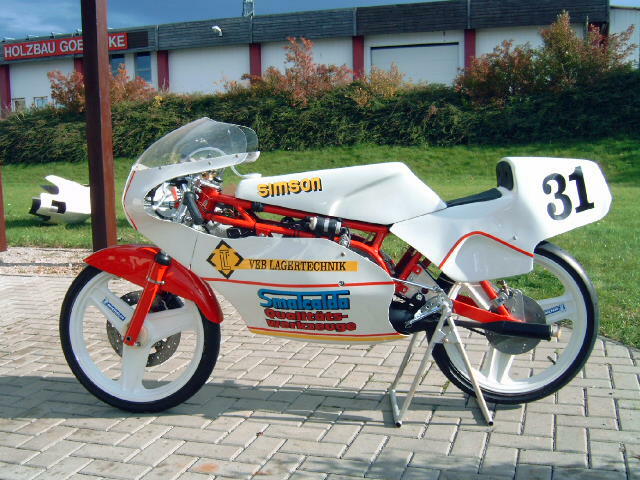 Before the war the Nazi's forced the Jewish Simson family to leave their factory . 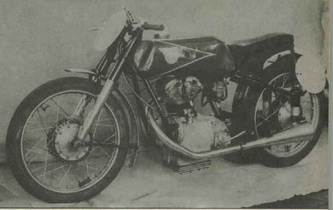 After the war ,the Russians dismantled the factory because it had produced arms. 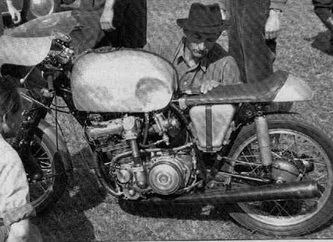 A Russian buildup committee called Awtowelo decided the Simson factory would be useful to produce motorcycles. 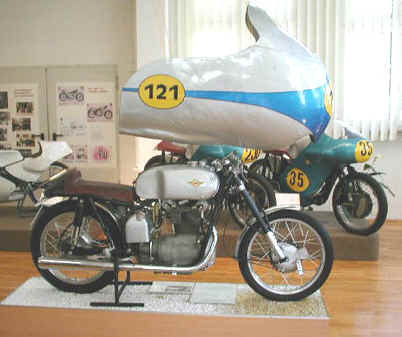 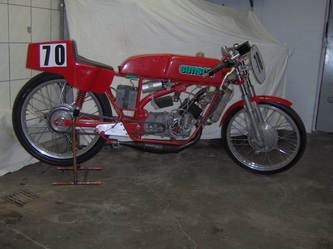 It was this motorcycle that formed the base for a small batch of production racers in the early 50's. The factory versions of that racer slowly evolved into a complicated 2 cilinder DOHC racer with chaindrive to the wheel. 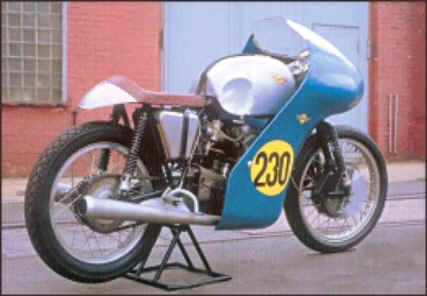 This was due to the fact that main competitor MZ was so succesful with its twostrokes. 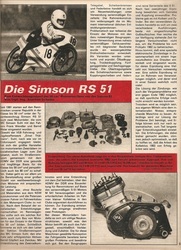 After 1959 the production of the AWO-Simson motorcycle ended. 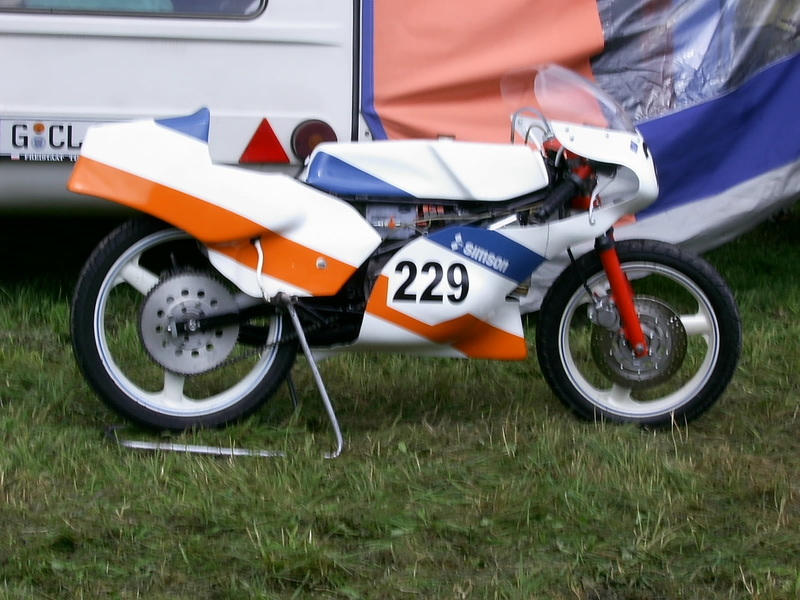 It was too expensive to produce compared to a MZ twostroke roadbike. 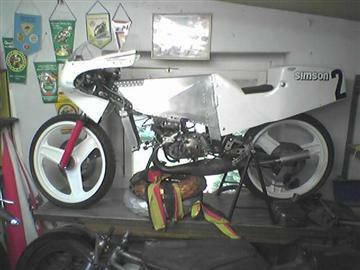 Simson was given the order to develop some solution for the booming moped demand. In 1964 the newly introduced "Schwalbe" moped came with an engine that could bear a lot of tuning. 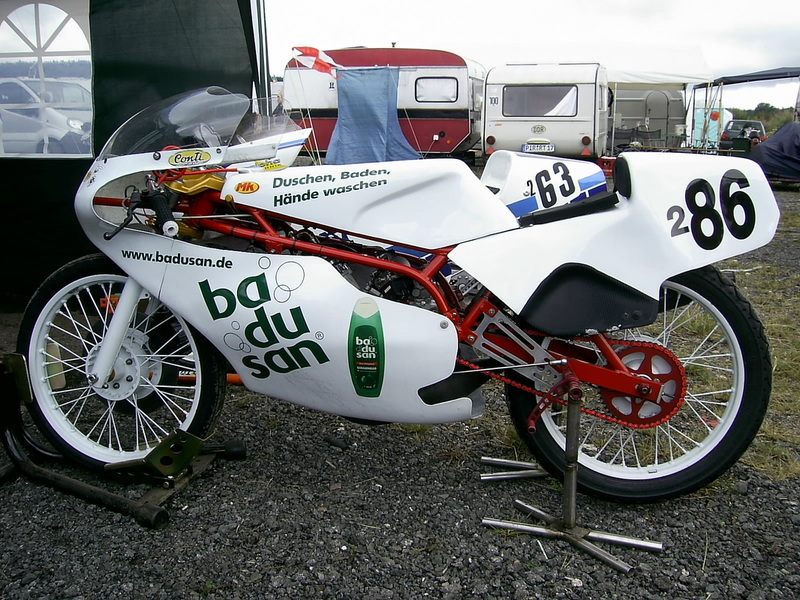 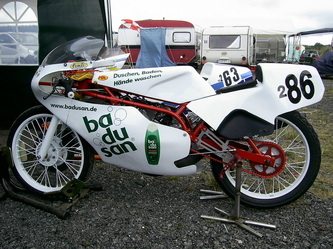 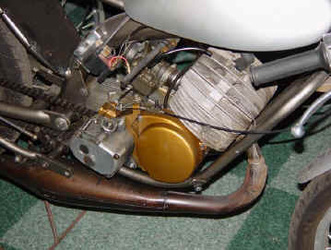 This engine was the basic for the majority of East-German 50cc racebikes. 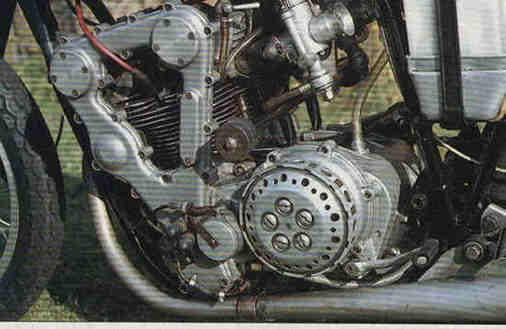 These parts and conversions were rarely factory backed ,they were privateers developments. Around 1980 a new engine range was introduced in the S51 moped. 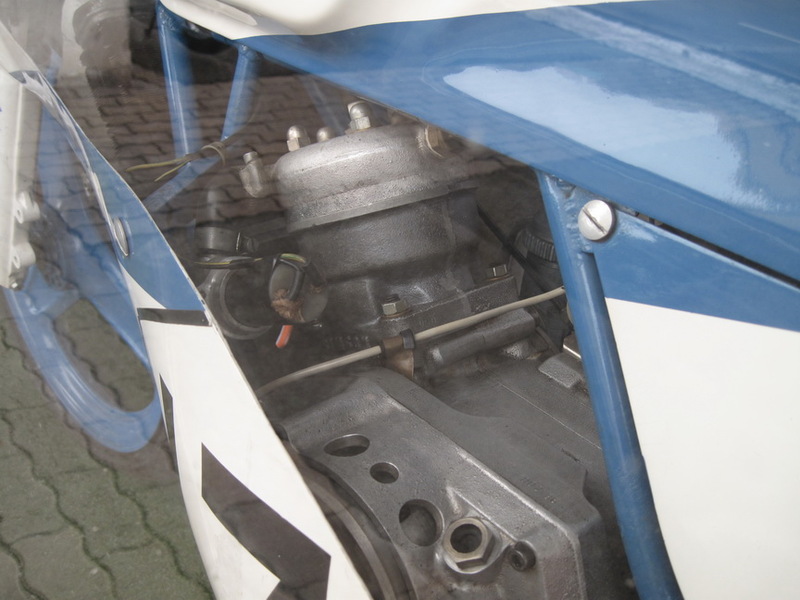 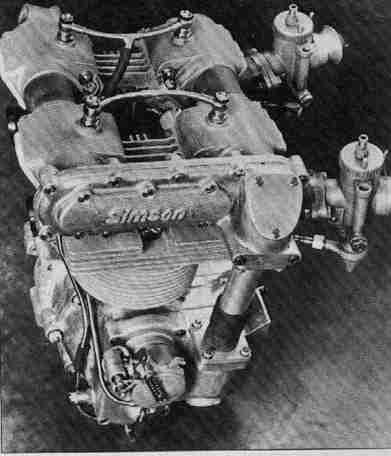 This engine was redesigned into a 50cc and 80cc raceversion. 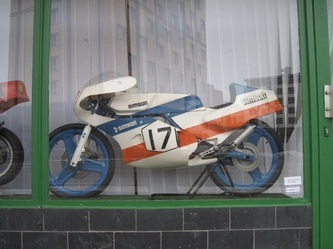 Although the factory had an exellent sports department (sixdays enduro worldchampion) the order was carried out through private development by Bernd Göpfert. The engines were used in various chassis ,some privateers bikes ,some factory backed.